Samsung has introduced a variable aperture in mobile photography and put a triple camera setup in a mid-range phone. The company is soon launching the next flagship model Galaxy S10, and the camera specs have just leaked. A few sources have confirmed that S10 will have a triple rear camera, so this setup is not reserved for the recently launched A7 only. Reportedly, there will also be an S10+ model which will pack five cameras in total: three on the back and two on the front. With the appearance of the dual camera technology, the world of smartphone photography certainly got more interesting. But now, the latest leaked images of the upcoming Nokia phone show us that the number of cameras on a smartphone is about to reach five. 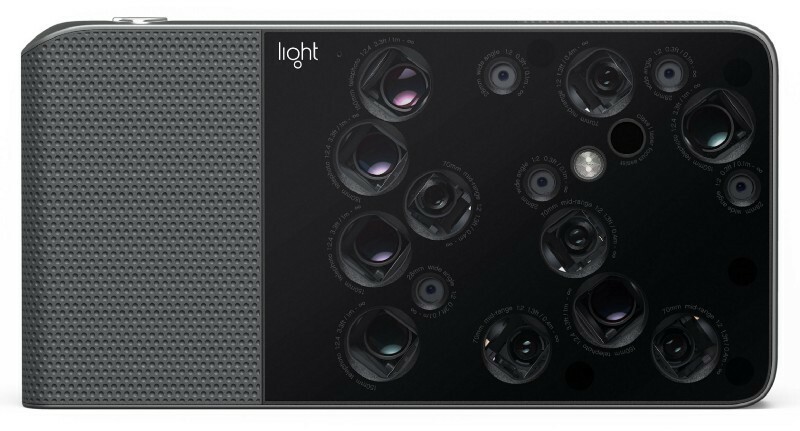 Light made big news when they announced the L16 back in 2015. A crazy handheld camera that was actually 16 cameras in one. Not much bigger than a smartphone it threatened the end of DSLRs. The sample images looked very impressive, but when it got into peoples hands, they were entirely underwhelmed. It didn’t kill DSLRs. But people did take notice. People at companies like Leica Camera AG and SoftBank Vision Fund, who have now invested $121 million in the unconventional camera company. It’s an interesting, but not an illogical investment for Leica. The merging of their hardware knowhow and Light’s software expertise could be a perfect combination. It doesn’t seem so long ago when dual camera technology appeared and brought a revolution to mobile photography. Then Huawei P20 Plus came, with its triple camera. It was only a matter of time when someone will try to add more cameras to a phone, and according to the latest rumors: it’s gonna be LG. Their next phone will reportedly have not two, not three, but five cameras squeezed into a single smartphone. Smartphone Vs Camera – Why Is This Still A Problem? It’s 2018 and it blows my mind that we still have to choose between using a smartphone camera and a real camera. Why hasn’t a single camera manufacturer added mobile data and standard smartphone apps to a real camera? Why hasn’t a single smartphone manufacturer made a smartphone with a real camera attached to it? How hard can this possibly be? In this article, I will outline what I want in a smartphone/camera hybrid and why I think it would be an instant success. Well, that “one other ring” just showed up on eBay for $19,490.15. (yes, and 15 cents). Unlike the version sold by Christie’s, this particular ring is made of 14K solid gold, complete with a stamp that certifies its purity. Way back in 2015, just a couple months shy of three years ago, we told you about a pretty insane lens that went up for sale on eBay. That lens is a massive 2540mm lens used by the likes of NASA to track the Saturn V rocket launch during Apollo and other programs. Back then, it was listed for an eye-watering $33,500 and the listing has remained, unsold. Now it appears to have received a little bit of a price drop. With a little over 15% knocked off the former price, this beauty can currently be had for a mere $28,000. According to the new listing, a buyer was found at one point, but it’s been relisted after the buyer realised he’d actually have to pay for it. In March 2018, Huawei is bringing something new to the world of smartphone cameras. The Chinese company is launching the world’s first smartphone with three rear cameras. The triple-cam technology will offer a total resolution of 40 MP and 5x hybrid (optical and digital) zoom.